This new version of “Mitsuboshi Restaurant Paul Kara no Shotaijyo” looks like it might be the best version yet. In this live treatment of the 2012 single, the girls perform to a full house. 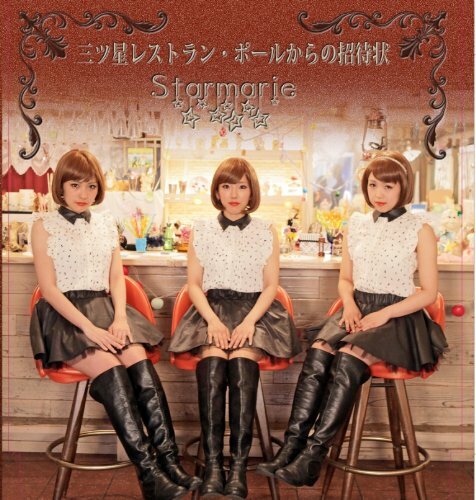 With a set of library books on a background behind them, STARMARIE’s performance looks and sounds impeccable. The band arrangement is a nice touch, and this makes this performance a cut above the rest. By my accounts, this is as good an introduction to STARMARIE as any! Buy STARMARIE – Mitsuboshi Restaurant Paul Kara no Shotaijyo!